Trisha loved life, loved her children and all your children too. She especially loved Christmas time and she loved to sing. In honour of our beautiful Princess, Trisha, we will be carol-singing in Columbanus on Sunday 9th December to raise much needed funds for Our Lady’s Hospice. Trisha battled so hard against cancer for as long as she could. When she could fight no more, she went into Our Lady’s Hospice for respite. Trisha was cared for like a Princess there, her every need was met, no request was too much. Her children, her Mam and Dad, her partner and all her family were treated with such kindness, love and warmth by the staff in the hospice. And so we would like to thank them in Trisha’s honour. 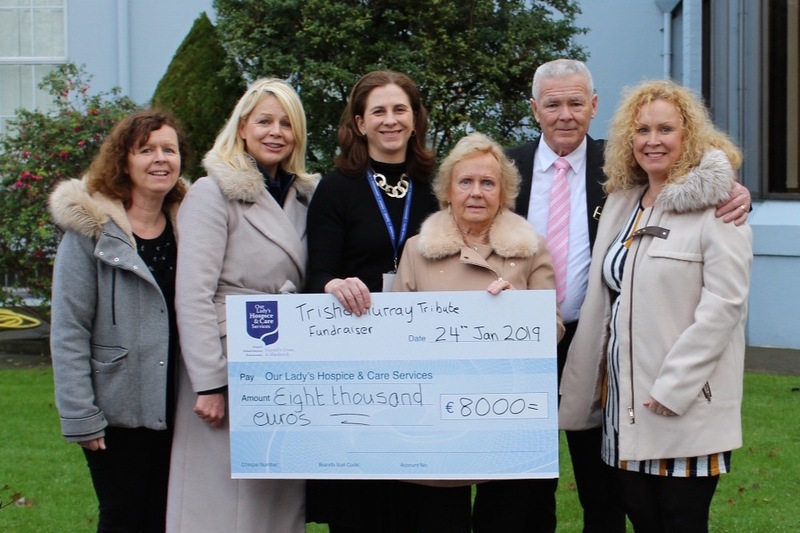 To ensure Our lady’s Hospice can provide the best care for the people who use their services, they need to raise €2 million annually from donations and fundraising. To help them take care of others as they cared for our Trisha, we would like to help in a small way. We would really appreciate any donation or even if you can just share this page – Thank you from all the Murray gang. 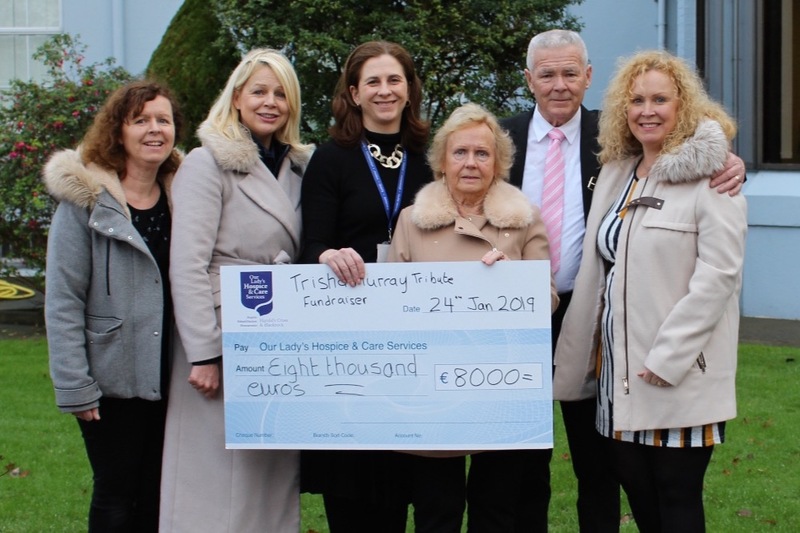 Today we passed on this cheque for €8000 to Our Lady's Hospice. We know they will put it to good use. A special message from Dad - "On behalf of the Murray family I would like to offer our heartfelt thanks to all who supported this cause. It is a consolation to us that so many people loved and respected our beautiful Trisha and dedicated this cause to her memory. Special thanks to Pat and Debbie who inspired it and Ruth who organised it, to Emmett & Intel CMS,to Stephen & Olbury FC. Thank you all so much, Michael Murray x"
Many thanks to the staff and management of Intel CMS module for their very generous donation of €1000, raised through their Christmas jumper competition. We really appreciate all your support to honour our beautiful sister. "I am the luckiest girl in this world. I have everything I’ve ever wanted or asked for in this life, except time. I have the best people around me and I wish I could take all the hurt away. I am so proud to have the best family, partner and children in the world. Please keep them mostly in your thoughts and prayers. I am so thankful and grateful for all life gives, and appreciate every second here. I’m sure we each have a mad little memory together in there somewhere (some might be secret but will give you a giggle all the same) lots of love, kisses, hugs and thanks from me to you. " - an excerpt from one of the last messages Trish sent to her friends. What a special girl! No more words needed. Please keep sharing and donating if you can.